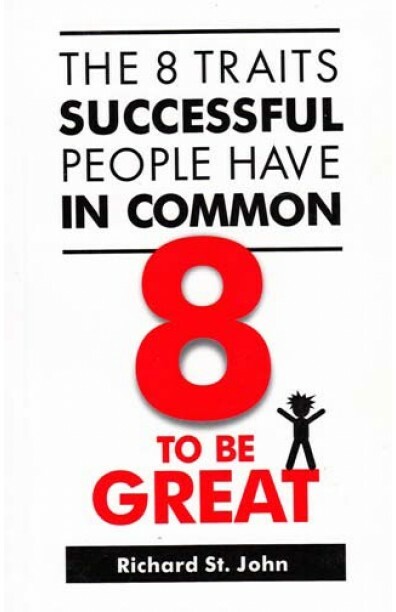 Based on 10 years of research - 500 Face to Face Interviews with extraordinary people including Bill Gates, Martha Stewart, Richard Branson, Jane Goodall, and the Google Founders, this book brings you the essence of the qualities that successful people have and inculcate. What is unique about this book - which makes it completely different from most other similar books is that the matter is presented colourfully - in a fun manner - which makes reading the book both enjoyable, as well as educative. The 8 Traits Successful People Have In Common : 1 Passion. 2 Work. 3 Focus. 4 Push. 5 Ideas. 6 Improve. 7 Serve. 8 Persist. * The book is fantastically laid out and is based on extensive research on success. Thousands of success stories have been collected and studied to make this title. * The book is fun to read, and makes a great gift as well. " I think this book is great! It's full of simple lessons on what really drives success and dispels a lot of myths." Jeff Skoll, cofounder, eBay.